"Leading agencies such as IMF and World Bank project the same trend to continue in the coming years. 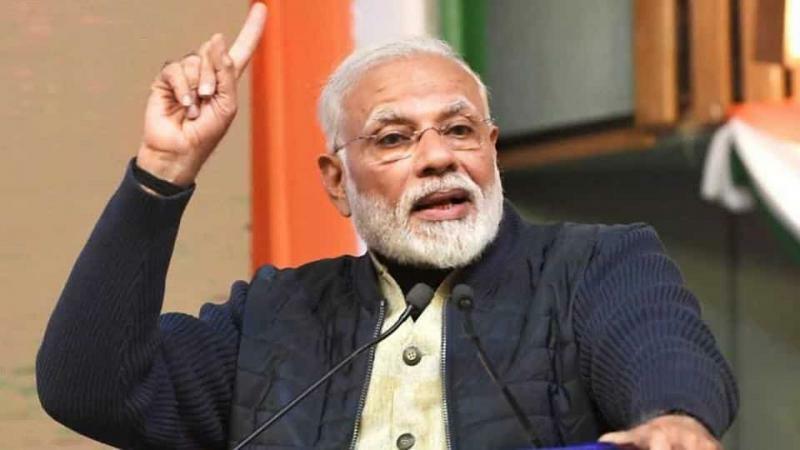 In an uncertain global economic environment, India has shown tremendous resilience as an anchor of the world economy," Modi said addressing inaugural address of Petrotech 2019. Modi said, currently, India is fastest-growing large economy in the world... and it "recently became the sixth-largest economy in the world. According to a recent report, by 2030 India could be the second-largest world economy." As per a Standard Chartered report, India is likely to pip the United States to become the world's second-largest economy by 2030. China will on the top spot surpassing US, which will be at the third place, the report said. On the roller coaster movement of crude oil and pricing of petroleum, he said, "We need to move to responsible pricing which balances interests of both producers and consumers. We also need to move toward transparent and flexible market for both oil and gas, only then we can serve energy needs of humanity in optimal manner." He also said that India has made rapid strides in achieving COP21 targets and are on way to achieve those. He said, "India has the fourth-largest refining capacity in the world. This will further grow up by about 200 million metric tonnes by 2030. Our national bio fuel policy has enacted last year... research on second and third generation bio fuel is being promoted. 12-second generation bio refineries are being set up in 11 states." Talking about energy policy of India he said, "We have adopted an integrated approach in energy planning. During the last Petrotech Conference in 2016, I mentioned four pillars for India's future - energy access, efficiency, sustainability and security." He was of the view that energy justice is also key objective for him and a top priority for India. "Toward this end, we have developed and implemented many policies. The results of these efforts are now evident. Electricity has reached all our rural areas. This year, we aim to achieve 100 per cent electrification of households in India through a targeted programme called Saubhagya. As we raise production, we also aim to reduce losses in transmission and distribution," he added. He also mentioned that under our UDAY scheme, the government is working towards this objective. India's World Bank ease of electricity ranking improved from 111 in 2014 to 29 in 2018. Lauding energy efficiency programmes, he said that LED bulbs distributed across the country under UJALA scheme have resulted in an annual savings of Rs 17,000 crore or nearly USD 2.5 billion. He also said, "Access to clean cooking fuel provide major benefits, especially to women and children from exposure to smoke pollution. LPG connections have been give to over 64 million or 6.4 crore households." Petrotech 2019, the 13th international oil and gas conference and exhibition, being organised under the aegis of the Ministry of Petroleum and Natural Gas. The three-day event, from February 10 to 12, will showcase the recent market and investor friendly developments in India's oil and gas sector. Over 95 energy Ministers from partner countries and 7,000 delegates from around 70 countries are expected to be part the event.